First and foremost: Kung Fu is not a style of Martial Arts. Most English-speakers use the term to mean Chinese Martial Arts or CMA or even a bit more specific, Traditional Chinese Martial Arts or TCMA. This helps to distiguish it from other Martial Art systems like Karate, Tae Kwon Do, JuJitsu, etc. However it actually says very little, other than a slight reference to the martial art system’s country of origin. Like the other martial arts mentioned, there are actually many different styles of Kung Fu. And oddly enough, the term “Kung Fu” is the romanized version of the Chinese term 功 夫, and refers to any discipline or skill achieved through hard work and practice, not necessarily martial arts. Perhaps even more strange is the fact that there are many different Chinese words for the term Martial Arts. But a popular one is 武 術 or Wushu, which also commonly refers to the Chinese sport of Wushu, which is not what we do. Kung Fu has been in Atlanta, GA, for many decades. Northern Shaolin, our flagship style for example, has been here since the early 1980’s and in the Southeast USA well before. Chin Woo, Hung Gar, Southern & Northern Mantis, Taijiquan, and others; they’ve all been here for years. 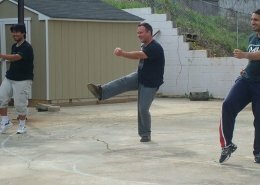 Shifu / Sifu Kiessling is an Atlanta native, having been born here (obviously) and has lived in various places throughout the Atlanta area and has kept the flame alive, teaching Kung Fu in various metro areas of Atlanta for years. He’s been in newspapers and television, competed and judged in local tournament and much more. And now he brings this Kung Fu to you in the heart of downtown Decatur, minutes outside of Atlanta, via Highway or MARTA (or any of the other major local roads). Unlike many other martial arts schools, we specialize in Adults and Teens. When it comes to Age, we do indeed have a range that we prefer prospective students to be within. Teens and Adults, Ages 15 – 40 is what we consider to be the sweet spot. The low end allows for a bit of maturity and the high end ensures enough time for physical progression, with fewer ailments or injuries. That being said, we have been known to allow the rules to be broken by individual exception. You want to be a Martial Artist. You might even want to truly develop Kung Fu. In a buy-your-belt type of school, how on Earth is that suppose to happen? As you may have guessed, it won’t. And we do not foster that type of environment. Instead, we focus on YOU, the individual. Someone with their own goals, weaknesses & strengths. We break things down into minute detail – lengthen the spine, pivot on the heel of the foot, coordinate breath with movement, alignment of the joints – and so much more. We work on Anatomical Intelligence or Body Awareness through direct experience, creating experiential wisdom. How to strengthen this part of the body, how to use gravity plus xyz muscles to develop power and so on. Empowering Teens and Adults through Traditional Kung Fu Training. Although Kung Fu training is great for anyone, we only accept mature teens of fifteen years of age and above. Because we really train Traditional Chinese Martial Arts (TCMA) in a traditional manner. It’s physically demanding, obviously, but more important is the mental aspect. Yes, it can be a case-by-case scenario. Pay Attention – And you’ll be rewarded. There’s much to learn in each and every class. Our average Rating and Review – regardless of the site it’s placed on… Is FIVE STARS. Whether it’s our Northern Shaolin, Demo Team, or another one of our other amazing offerings and activities, people absolutely love the experience. We work hard. And we play hard too. From challenging physical & mental training and in-depth lectures to the social gaming, movie nights, parties, online student center and much more, we are all a “Family of Friends,” sharing, encouraging, helping and laughing with each other. We’d rather you want to come to class; not because you are locked into a contract. Work at Your Own Pace. Can’t do a solid push up? We’ll get you there. Want to spend more time on XYZ? We can arrange that. Having some financial issues? We’ll work with you. Our Northern Shaolin Kung Fu classes, for example, run a whopping Two Hours each! Whether you’re training an Internal or External art, you’ll find in-depth and challenging exercises to help you make exceptional gains. You’ll be introduced to the Chinese Language, specifically Mandarin and Cantonese; from how to pronounce the sounds and tones to their meanings and more, you’ll be strengthening your cultural knowledge with gusto. You’ll learn traditional breath-work exercises to aid in relaxation, power-generation, and much more. Make Body-Mind connections like a Boss. You’ll learn methods of Meditation to help de-stress, de-clutter and focus the mind. You’ll gain access to our Online Student Center, with tons of detailed documents about what you learn in class and much more. Old Chinese myths & legends, philosophies, strategies, principles, inspirational stories, videos, social interaction and so much more. Show off what you’ve learned and learn new material with the other members of the Demo Team at the various demonstrations we give. Chinese New Year is a big time for us! You will learn the ins and outs of 武 德, or Wu De, which means Martial Virtue. We’re located conveniently in & around downtown Decatur, close to major highways & roads and only a couple of minutes walk from MARTA a train station and bus stops. We are very hands-on with our material, not just learning What to do, but Why we do it. Almost every body movement we engage in has a variety of possible applications from a martial art viewpoint; everything from Bows to Push ups have martial applications. Sifu Kiessling has been teaching for over 20 years, having been in the Martial Arts for over 30, so you’re getting quality instruction. Our students come from a wide variety of backgrounds, so you’re sure to fit in and make new friends. You’ll be learning authentic, historic, legitimate Kung Fu forms passed down from teacher to student through many years. And not just the shell; you’ll learn the meat of the matter for sure. We have a private Facebook group for students to connect and interact. We won’t be tossing you this and that out of order. There is a logical flow of instruction, ensuring proper and logical progression. You WILL actually improve; overall – not just come out of the system with a bunch of empty forms and hand-waving. We’re connected. Traveling? 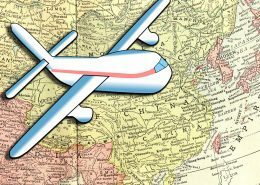 Moving somewhere else? We can help make the old-school, traditional connections, referrals and introductions for you to trusted teachers and schools. Our Tests are hard enough. We’ve got a fire pit out back, we’ve got our own guild in Guild Wars 2, we’ve got Kung Fu movies, we’ve got two Mahjong tables… Starting to get the picture? Not all Kung Fu training is Physical. Within our Online Student Center, you’ll not only have access to in-depth write-ups for every single thing you do in class – from how to do the Bows and Salutations, step-by-step instructions on all of the various Warm Up exercises and so much more, to Inspiration and Motivational pieces, Chinese literature, recipes and more. You will have access to a huge library of Interesting and Informative material. We just want to Be Sure You’re Sure before You’re Sure of signing on the dotted line. Seriously, though… Come give it a try for FREE. Have I ever told you how valuable everything you’ve taught me has been? How it’s all still part of my life, even to how i do simple movements? And they show up at the most unexpected times! My history with Sifu Kiessling goes back more than 20 years. This is closer to traditional Northern Shaolin Kung Fu training than most people ever get to experience. This is NOT your strip mall Martial Arts training center where the more money you spend – the better color belt you get. Sifu Kiessling is a no-nonsense practitioner and his desire for excellence in training definitely shows. Students will definitely come away from his classes sore, but with a much deeper understanding of Martial Applications and philosophy, something strip-mall centers can’t hope to touch. What an energizing class to get your blood pumping for Sunday morning. Details are important to the teacher, so he WILL WORK you, so you may have a solid structure to start from. A great Martial Arts Class for a beginner, like myself, or for those looking to advance to the next level. A fun class with a bunch of cool people wanting to learn traditional martial arts. Moving to Atlanta from Florida, I’ve visited with most of the Kung Fu schools in the area while trying to choose where I wanted to continue my training and THIS INSTRUCTOR IS UNQUESTIONABLY ONE OF THE BEST! His classes excel in attention to detail, refinement of technique, practicality of skill and serious conditioning while at the same time maintain a jovial sense of play. The training group is really more of a family than anything else: there to celebrate each others’ accomplishments and assist one another when you’re having a hard time with something. I’ve definitely found my home with this group. It’s been awhile since I trained with the instructor, but I remember my time well. I’ve since moved, and gone on to train in another style, but what I was taught here gave me a stronger foundation than I have seen anywhere else. Not to mention the calisthenics and overall conditioning – be prepared to work! I come mainly from a western boxing background, and was looking for something to supplement my training to help my flexibility and agility. 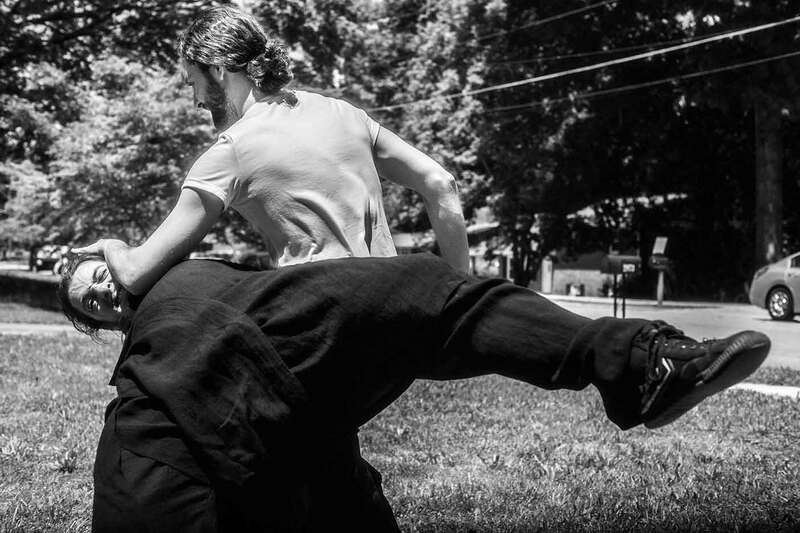 I heard about Sifu Craig Kiessling’s class through a friend and have been hooked ever since. I must say this Kung Fu class offers one of the most complete systems for developing overall fitness and practical martial skills. If you’re looking to get in great shape, this will do it! Wonderful instructor and overall training environment! This class is both challenging and fun, leaving you with a true sense of accomplishment when you finish a training session. Traditional Kung Fu? LOOK NO FURTHER. If you’re like me, you’ve been taking lessons from a few different instructors or schools in the area…but perhaps you’ve been looking for something a little special. For me, it’s always been traditional, with a specific emphasis on Shaolin arts. Folks, training with Shifu Craig Kiessling is as real as it gets! He is without a doubt a powerful martial artist, but also a wisened teacher and very down to earth. He’s very understanding and works with you as an individual. It’s not about who can perform such-and-such form at breakneck speed. Rather, training with Kiessling is all about learning your body mechanics and becoming aware of the potential within. This is the very essence of training, in my opinion. As for the speed, that will come in time. But as the instructor is apt to say, this is all about personal development. If you have even the slightest curiosity in Northern Shaolin (Bei Shaolin / Bak Siu Lum) Kung Fu, do yourself a favor and come to a class, meet the extended family, and begin an exciting path of traditional Chinese martial arts. You will find a truly excellent teacher in Shifu Kiessling, and I dare say one of the very best anywhere. Just wanted to say what a rockin good time. I hate hurting from muscle sore, but it feels good to hurt and move. I first came to Northen Shaolin Kung Fu last Thanksgiving. Since then I have dove in headfirst attending an average of two classes per week. This was due to the many benefits I began to notice. The things I was learning here translated immediately over to my other practices (Taichi, Qigong, etc.). Stubborn physical issue I had been unable to address slowly began to improve from the conditioning we practice. Looking back, so much positive changes have occured in such a short time physically, mentally, and emotionally. 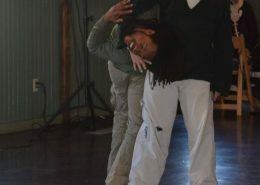 Like the time we were invited to perform some demonstrations. We quickly rallied a program and drilled the snot out of it. Even though it seemed like a long shot, we pulled together and made it happen. Or the time we were stuck holding one legged stances whe discussing the finer points of each stance. Even when (maybe especially when) we have setbacks (e.g. failing a test) so much development is squeezed from the experience that it doesn’t feel like a loss. A typical class encompasses education in traditional aspects of Chinese culture (language, Wu De (martial virtue) protocol, philosophy, history, etc), thorough varied warmup excercises, strengthening and conditioning circuit drills, qigong & meditations, level-specific material practice, group applications & stance drilling, and then some. We wrap up each class with a group discussion to help solidify a take home to practice and think on till next session. In short, this is a great place to train with really good people and I’m very excited to see how much farther I can push myself here. My first time studying Kung fu & it was the best martial arts experience! I’m moving to another state which is the ONLY reason I have to leave the class. I mean… I really love it here! The teacher is GREAT. We not only learn how to fight & defend ourselves, we also learn how to become better people. I’m pretty sad to leave but they’ve given me so much to take with me so I can continue progressing with my Kung Fu & with self. This was the first time that my wife and I had taken a Kung Fu class. And we’re not even from Atlanta, GA! Knowing it was a long-shot, we contacted a few schools and told them the truth: We can’t be long-term students, but we’d like to see what Kung Fu is all about. It was way better than expected. The instructor is very skilled and knowledgeable and somehow made us fall in love with it. We decided that we have a lot to learn and can’t wait to find a place in our home town to continue the journey. My wife and I spoke after a couple of classes and decided that if we were living in the Atlanta area, this is definitely where we’d want to be and we would recommend it to anyone! Thank you for being so welcoming in such a different environment for us! I‘ve been practicing Northern Shaolin with PATHS Atlanta Kung Fu for about a year now and I highly recommend it for anyone interested in learning Kung Fu. Class typically begin with a variety of stretching exercises and a circuit drill for conditioning. Following that we get into the substance of Nothern Shaolin Kung Fu. There is a heavy emphasis on applications from forms. I really like how we learn how each movement in a form could be used practically. We will also learn meditative techniques, history of Northern Shaolin and other styles, and the theories behind our martial practice. There is a lot of individual instruction in class. It is not uncommon for one student to be working on one thing while other students are practicing something else, but it never feels like you have been forgotten or excluded. Also common is that other students will momentarily pause what they are doing to offer you guidance or answer your question. The instructor is very knowledgeable, not just on Northern Shaolin but many other styles. Many times in class he will teach us some aspect of other styles for our martial education. We also are expected to learn the history of our lineage of Northern Shaolin which I think is really neat. There are two unique things about our class that I absolutely love. First, the classes are outdoors. While sometimes in extreme weather (August heat and January cold) I wish we had an indoor space, I almost always enjoy practicing Kung Fu outdoors. The second thing is the social aspect. Typically after class we go out for drinks and food. That aspect was a pleasant surprise as there I have really bonded with my fellow students and they all have interesting and diverse lives to learn about. I‘ve been a student in the Northern Shaolin Kung Fu curriculum since mid-2014 and have loved every minute of it. The teacher, Craig Kiessling, is not just a good teacher, he is an AMAZING teacher! He has a wealth of knowledge and experience of various cultures and martial arts styles (not just Chinese) that really comes through both in and out of class. It isn’t a stretch to say each class will teach you something new, even if you are just reviewing over skills you already know. Classes contain everything from qigong and meditative techniques to forms to conditioning and everything in between. Something I’ve enjoyed very much is that we learn not only the how of things but also the why. Why you move this way, why you breath out with this movement, why you should relax as you do this, etc. He is not a teacher who will have you do something without meaning. Everything has a purpose. That is a definite plus, that isn’t always the case in the realm of the martial arts. Summed up quickly, Try a Class! You won’t regret it! I came only to couple class by this north shaolin teacher here but i really enjoy. I been some others in here Atlanta and was disappoint. But this fellow is passion and knows good his north shaolin kongfu. It’s been awhile since I trained with the instructor, but I remember my time well. I’ve since moved, and gone on to train in another style, but what I was taught here gave me a stronger foundation than I have seen anywhere else. Great place to build a foundation for a budding martial artist, someone trying to get back in shape, or for someone who has experience and is wanting a different challenge and view on how to move the body. The teacher has a wealth of knowledge. I had to leave Atlanta for work sooner than I would have liked, but I loved my time at PATHS, and would have stayed forever if I could. Sifu Craig’s tutelage will challenge you physically and mentally, but you will be rewarded with growth in all aspects of your life. I highly recommend to anyone interested in martial arts, or just looking for a way to be active and meet great people. Coming to Altanta two years ago from Toledo, Ohio, I have had an amazing experience at PATHS. Sifu Kiessling has such a deep knowledge of Chinese culture — history, traditions, language, medicine as well as martial arts. As you move up the levels from basic, he pushes you to explore applications from the forms so that you figure it out for yourself like a puzzle. I had trained for almost five years previously in a different Northern Shaolin lineage, but my knowledge and skills have improved dramatically here. Small intimate setting is also supportive, but to get a good result you need to put in the time. I‘ve been attending Tai Chi classes at PATHS for 5 months-ish now. While most students study Northern Shaolin and Tai Chi together, I only attend the latter. I’m in it for the physical and mental health more than the external or martial application. The class format has been updated during my time here and for the better in my opinion. We warm up, learn forms together, have instructor-informed but group-led discussions of the principles of Taijiquan as well as Traditional Chinese Medicine and other relevant fields, and we close out with Qigong and reflection. You have to practice between these classes. Craig (sifu) is a wealth of knowledge. He is generous with his time and patient with his instruction. The advanced students are welcoming and incredibly helpful. It is outdoors, which is an asset I believe. The classes are small -also a huge plus. It is deep and it takes time -big, big plus for being real. If you’re curious about Tai Chi and seeking a traditional format to learn it you should take advantage of the free class offering. I’m happy I did and I’m staying with it. Atlanta is the biggest city in Georgia, United States (and is the capitol city as well). Decatur, GA, is where PATHS Atlanta Kung Fu, a traditional Chinese Martial Arts training facility focusing on programs in Adult & Teenage Martial Arts, makes its home. Many surrounding areas are close enough that students could possibly drive to class or take public transport, like MARTA, if they were motivated enough. Some of these might be Atlanta, North Decatur, Belvedere Park, Druid Hills, North Druid Hills, Panthersville, Gresham Park, Tucker, Chamblee, Doraville, Redan, East Point, Sandy Springs, Buckhead, Clairmont Park, Oakhurst, Avondale Estates, Comfort Hill, Chelsea Heights, Emory, Emory Estates, East Lake, Emory Highlands, East Lake Highlands, Highlands, Midtown, Kirkwood, North Kirkwood, Scottdale, South Kirkwood, Clifton, Dekalb, North Dekalb, Country Squire Acres, Rehoboth, Turner Village, Clarkston, La Vista, Montreal, Plymouth Colony, etc. 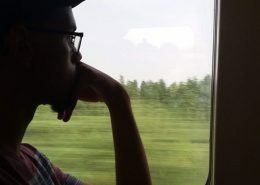 The Grand Finale of our Northern Shaolin Kung Fu student's journey into his trip. A China Kung Fu journey of exciting tales! Join us and learn the details of his Kung Fu experience of China, Shaolin Temple and much more! 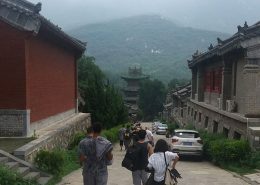 Northern Shaolin Kung Fu student Justin Ford returns with another installment in his three-part China adventure story. A Kung Fu student's impossible dream comes true: A trip to the motherland of Chinese Martial Arts - China! The first of a 3-Part series that promises to have on the edge of your seat as you share the anticipation and the excitement. Northern Shaolin Kung Fu student returns and gives us the nitty-gritty on a class after Chinese New Year. A fine read! Act, if you like, – but you do it at your peril. Men’s actions are too strong for them. Show me a man who has acted and who has not been the victim and slave of his action.